The newspaper shared a prediction for the future. "The Edison Electric Institute predicts that by the year 2000 the family doctor will have replaced his traditional black bag with a small computer terminal that can either transmit or receive a variety of medical information," The News reported. "Don't give or take medicines in the dark, be sure you can read the bottle." The Estacada School Board adopted a policy that allowed corporal punishment in schools, but there were several stipulations. Students could not be spanked without a witness, the person administering the punishment had to be the same gender and students whose parents had not previously agreed to the policy would not be spanked. The corporal punishment policy had been approved by all school board members except for one. The News offered this quote: "The trouble with some people today is that they are educated beyond their intelligence." At the Estacada Food Forum, pumpkins were 10 cents a pound, cookie dough was $1.49 and Budweiser Beer was $5.99 for 12 cans. 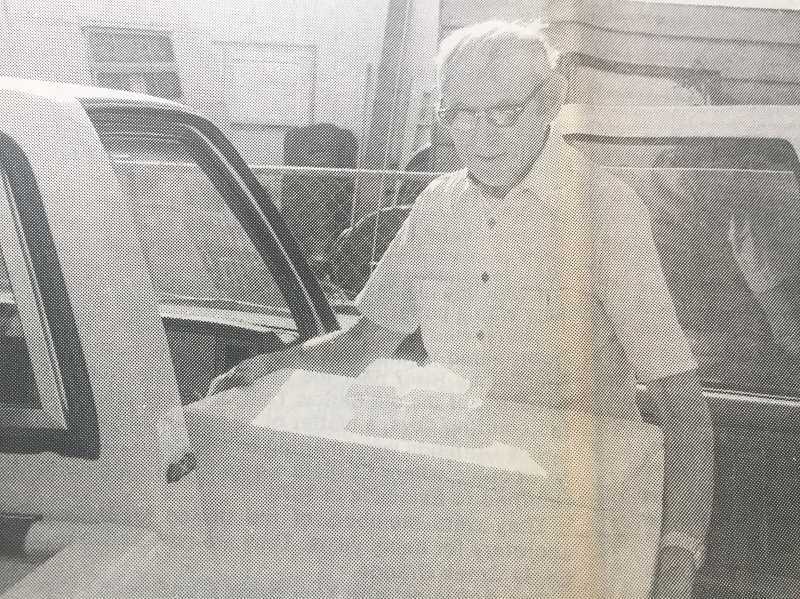 Oliver Bowman, 91, spent his days delivering Loaves and Fishes meals to fellow elderly residents. He typically handled deliveries for eight people within Estacada city limits each week. Population estimates for the city of Estacada indicated that the city had gained 115 people between July 2006 and July 2007. "Since the last Census, the city has grown more than 300 people to 2,695," The News reported. Leaders at the Estacada Chamber of Commerce were organizing their annual Christmas Bazaar. The event would be held at Estacada High School and would feature food and handmade gift items. In 2016, Estacada's population grew at a faster rate than that of the state of Oregon. Portland State University's annual population report estimated that Estacada has gained 70 residents since 2015, bringing its total population to 3,155. The state's population increased by 62,505 people, bringing the total to 4,076,350. These numbers represent an estimated 1.6 percent growth rate for the state during the past year, compared to an estimated 2.3 percent growth rate for the city of Estacada during the same period.